Dalet, a leading provider of solutions and services for broadcasters and content professionals, announced that Australia’s Special Broadcasting Service (SBS) is significantly expanding the portion of its media operations powered by the Dalet Galaxy Media Asset Management (MAM) and Orchestration platform. 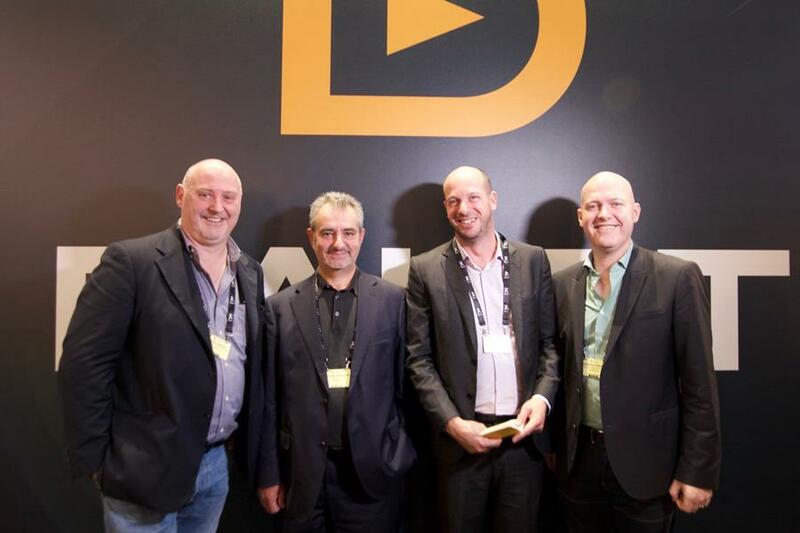 Dalet, a leading provider of solutions and services for broadcasters and content professionals, announced that Australia’s Special Broadcasting Service (SBS) is significantly expanding the portion of its media operations powered by the Dalet Galaxy Media Asset Management (MAM) and Orchestration platform. The new implementation will facilitate production and distribution of news, sports, radio programs in multiple languages and music content across the broadcaster’s TV, radio and digital platforms. The new deployment will bolster SBS’s production capability prior to the 2018 FIFA World Cup. Building on the successful integration of dozens of systems and automation of several program management workflows under a unified Dalet Galaxy environment, the expanded installation will now encompass news and sports production as well as the full radio automation for SBS music channels. This will deliver production content to three TV channels, eight radio channels (music and talk show), the SBS website and online apps. SBS’s radio programming is produced in more than 70 languages, making it the most linguistically diverse broadcaster globally. In addition to the 2018 FIFA Football World Cup, the production of other sporting events that will be facilitated by the new integration includes tier-one events such as the Tour de France and English Premiere League. Dalet, a leading provider of solutions and services for broadcasters and content professionals, today announced the appointment of James Ohana to a newly created Director, Program Management position on the Dalet Professional Services, Americas team. In the new role, Ohana will oversee Dalet’s large-scale, multi-site, multi-year project portfolio. In addition to the newly created position, Dalet has expanded the Americas Professional Services team with the addition of Jamie Day to Program Manager. Day’s main focus will be on the quality of Dalet project execution. Dalet Director, Program Management – James Ohana A business-savvy IT professional with over 20 years of experience in enterprise solution delivery, project methodology and change management, James possesses a deep understanding of emerging technologies and the challenges the broadcast and media industry faces. Filling a new role within the Americas Professional Services team, James is responsible for managing the delivery of Dalet’s growing portfolio of large-scale, multi-site, multi-year implementations. “Larger project engagements require a different level of delivery management,” states Julien Decaix, general manager, Dalet USA. “James understands both the business and technology needs of our enterprise clients. This well-rounded perspective combined with his vast experience gives him the ability to guide as well as challenge the project’s internal and external stakeholders to deliver the best value for the end users and the organization.” Decaix concludes, “James offers the leadership and the skill required to successfully steer the complex operational and business transformations Dalet customers undertake.” As Director of Program Management, James oversees every aspect of large-scale media enterprise roll-outs in North America, from finalizing architecture design to change management, coaching and upgrades. James elaborates on the impact of the new position, “With a 360-degree knowledge of project deliverables and goals, I can better orchestrate the many moving parts, providing the sound, bi-directional guidance needed to keep these large-scale, multi-site, multi-year projects on the trajectory. This ensures Dalet hits the mark successfully internally and most importantly the customers achieve their goals as planned.” James began his career in the media and entertainment space as a project manager for Dalet. Prior to rejoining the company, James held the position of principal solutions consultant on the Digital Media Solutions team at Oracle. In this role, James was responsible for designing and selling Content Storage Management systems (on-premises and in the cloud) as well as supporting the partner ecosystem. James also worked for Avid, designing and delivering digital media solutions to broadcasters and industry content providers. In both positions, James managed projects and development teams in the United States and Europe. Prior to joining Avid, James worked for IBM Global Business Services as a project manager and consultant in the media and entertainment practice, where he was responsible for providing strategic and technical consulting to media companies. James is a Certified Scrum Product Owner (CSPO) and holds a Master’s degree in Management Information Systems (MIS) from the University of Paris Dauphine and a Bachelor’s degree in Management and Economics from the University of Paris Sorbonne. Dalet Program Manager, Professional Services – Jamie Day Stepping into the Program Manager position for Dalet Professional Services, North America, Jamie focuses on maximizing the quality of project execution and project delivery, improving the consistency of Dalet deployment and security policy processes. “Forward-thinking delivery processes are key to creating sustainable operations for our customers and ultimately transforming their business,” states Decaix, “More than just managing the pragmatic details of Dalet customer deployments, Jamie improves our processes to better serve the needs of our customers today, leveraging the agility of the Dalet platform potential to ensure that they are set up to maximize the technology and business opportunities of tomorrow.” Prior to Dalet, Jamie worked as a program manager for Google on the Corporate Engineering team. At Google, Jamie managed high-visibility, complex projects from design through the deployment of integrated and interactive audio-visual technology. She led design and build efforts for Google Fiber Customer Experience in Austin, TX for live concerts and events such as SXSW. She also designed US Office and Datacenter Google Video Conference (GVC) Programs and delivered special AV systems, such as mission control rooms, teaching kitchens and other specialty AV in the US, Toronto, Zurich and Sydney. She was appointed to Datacenter Design committee to establish global standards for acoustics and Audio Visual related construction. Jamie graduated from Barnard College, Columbia University and has a Master’s degree in Information Systems from Pace University, Seidenberg School of Computer Science and Information Systems. About Dalet Digital Media Systems Dalet solutions and services enable media organizations to create, manage and distribute content faster and more efficiently, fully maximizing the value of assets. Dalet products are built on three distinct platforms that, when combined, form versatile business solutions that power end-to-end workflows for news, sports, program preparation, production, archive and radio. Individually, Dalet platforms and products offer targeted applications with key capabilities to address critical media workflow functions such as ingest, QC, edit, transcode and multiplatform distribution. The foundation for Dalet productivity-enhancing workflow solutions, Dalet Galaxy is the enterprise Media Asset Management (MAM) &amp; Orchestration platform that unifies the content chain by managing assets, metadata, workflows and processes across multiple and diverse production and distribution systems. Specially tailored for news and media workflows, this unique technology platform helps broadcasters and media professionals increase productivity while providing operational and business visibility. Dalet AmberFin is the high-quality, scalable transcoding platform with fully integrated ingest, mastering, QC and review functionalities, enabling facilities to make great pictures in a scalable, reliable and interoperable way. Addressing the demanding needs of studio production, multi-camera ingest, sports logging and highlights production, the innovative Dalet Brio video server platform combines density and cost-effectiveness with high reliability. Adopted by leading broadcasters, Dalet Cube is a suite of applications to create, manage and deliver graphics in a newsroom scenario. Dalet supports customers from the initial planning stages to well beyond project execution. Our global presence includes 17 offices strategically located throughout Europe, the Middle East, Asia Pacific, North America and South America, and a network of more than 60 professional partners serving 87 countries worldwide. This collective experience and knowledge enables our customers to realize potential increases in productivity, efficiency and value of their assets. The comprehensive Dalet Care program ensures deployments remain up and running with 24/7 support 365 days a year. Dalet systems are used around the world by many thousands of individual users at hundreds of TV and Radio content producers, including public broadcasters (ABS-CBN, BBC, CBC, DR, FMM, France TV, RAI, RFI, Russia Today, RT Malaysia, VOA), commercial networks and operators (Canal+, FOX, eTV, MBC Dubai, MediaCorp, Mediaset, Orange, Time Warner Cable, Warner Bros, Sirius XM Radio), and government organizations (Canadian House of Commons, Australian Parliament and UK Parliament). Dalet is traded on the NYSE-EURONEXT stock exchange (Eurolist C): ISIN: FR0011026749, Bloomberg DLT:FP, Reuters: DALE.PA. Dalet® is a registered trademark of Dalet Digital Media Systems. All other products and trademarks mentioned herein belong to their respective owners.